I represent employers in all aspects of employment law, including harassment, discrimination, retaliation, wage and hour, breach of contract and employee mobility/trade secret litigation and counseling. Over the past few years I have had the opportunity to takes cases to trial on behalf of employers in northern, central and southern California. Before founding Andrews, Lagasse, Branch & Bell LLP, I was a partner with one of California's largest law firms, practicing in its Employment Group Department from 2003 to 2007, where I oversaw the San Diego office's pro bono, mentor and diversity programs. In 2010, 2011 and 2012, I was selected as one of the Top 50 Super Lawyers in San Diego. I am also included on the 2009 through 2012 lists of San Diego Super Lawyers. In 2008, I was named to San Diego's 40 under 40 honor roll by San Diego Metropolitan. 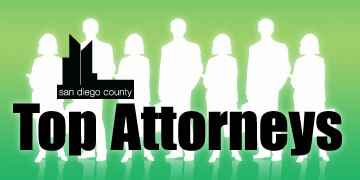 I am a member of the San Diego County Bar Association’s Labor & Employment Section. I am a current member of the Big Brothers Big Sisters of San Diego County Board of Directors. I provide mediation services for parties in employment cases and I assist the Department of Fair Employment & Housing as a volunteer mediator. I have been a speaker for Lorman Education Services regarding employee mobility/noncompete issues, as well as an instructor of personnel law for the Greater San Diego Employers Association in its certificate program for working professionals in human resources. Prior to joining the board of directors for the San Diego County Big Brother/Little Brother program, I served as a Big Brother for several years. It continues to serve as one of the most enriching experiences of my life. In addition to my full-time practice, I am also currently completing my LLM at Pepperdine University School of Law’s Straus Institute for Dispute Resolution.